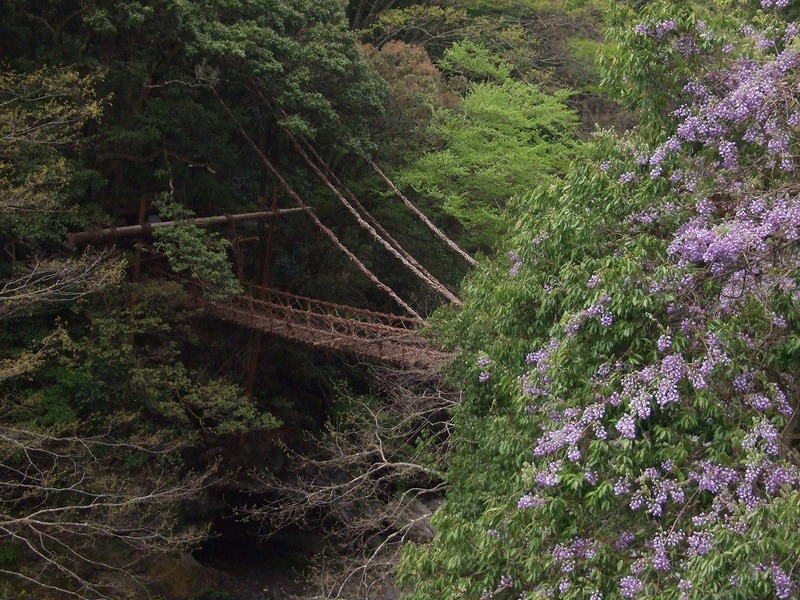 This suspension bridge is made from about 5 tons of actinidia arguta (mountain vines). It is 45-meter long, 2-meter wide and 14 meters above the water. Vines connect the wooden bars that are about 10 cm apart, so the gaps make the experience very thrilling! The bridge is lit up every night from 7PM to 9PM. Crossing the bridge at night is a totally different experience. This area is called an unexplored region because in the past you could not get there without crossing the precipitous cliff. 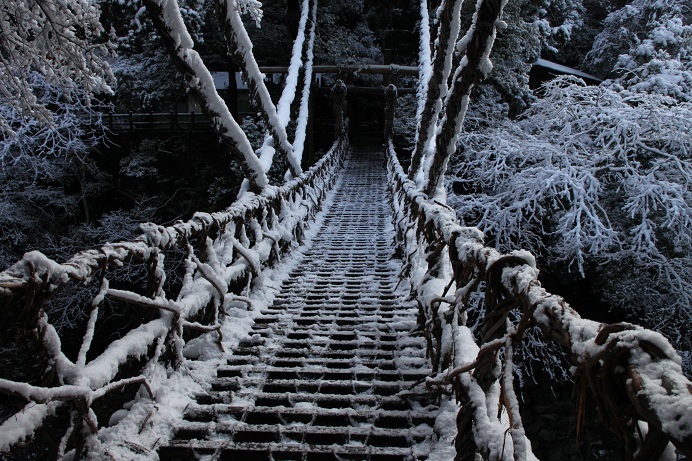 At the Kazura Bridge, you can see the natural beauty of the four seasons. Wisteria flowers bloom in the spring. It becomes lush green in the summer! Everything gets covered in red and yellow when autumn comes. The snow piles up and offers a fantastic scenery in the winter. 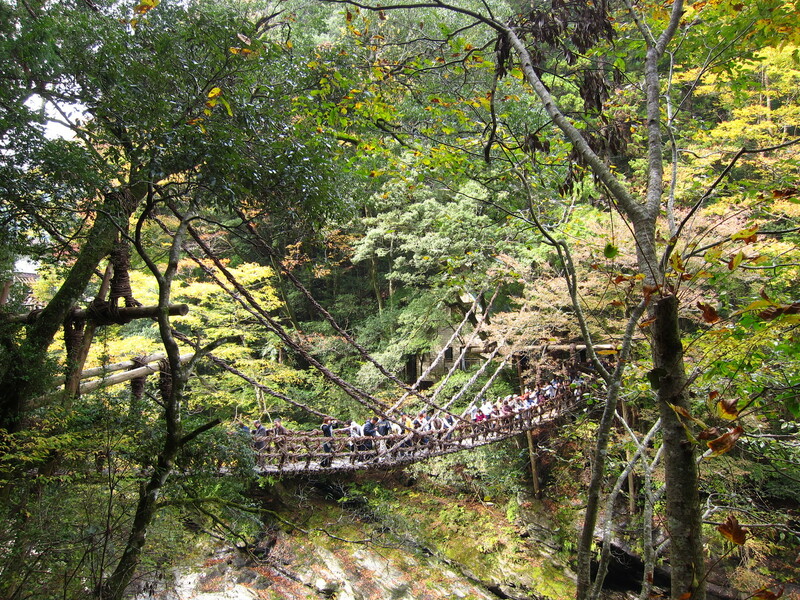 Experience the extraordinary landscape of the unexplored region of Yamaguchi Prefecture!